Imagine if baby’s first book was around and that he or she could write in it. A lot of work would already be in this book: family history, names, dates, blood type, weight at birth. Imagine if one family member gets a DNA test, the whole family could benefit because all have the same family history. The book could help connect lives and make you feel closer to your family and help you discover your roots. This fascinating book can be used for just about anything dealing with the written testimony of your life. Written by you, it could be used in a court of law. It could be used by doctors to treat Alzheimer’s patients. They could let the patient simply read about him or herself. This would bring back memories for the patient. Also with Reminiscent Therapy, this book could be used to remember defining moments. It could be used for book projects in grade school, high school, even college. The book could be used in criminal investigations, DNA of family members killed in wars, or unknown persons’ investigations. It could be used at funerals, while meeting friends and family. It could be taken to church functions, weddings, parties, family reunions, any type of family gathering. You might run into a long, lost relative to add to your book. It could be a great learning tool for teaching your young children that we never get to fully know, and they can get to know about you in return. Again, doctors can know about you from blood type to heart rate at different times, or ages of your life. This could come in handy to help trace the mystery of family illnesses that run in your family’s blood line. This could be helpful to all of your relatives. Your book could have many names and lives in it that you can trace through history. And you could put in things that you learn from the obituary about a person you did not know about in life. You can add sections and extra lines. You have the freedom to add subjects in your Index for things you want to put in your book. You could put things inside, a real will or copies. So use Modern Day Pharaohs to tell about all things that family can know about you, so your legacy does not die out. You will no longer be an insignificant person on earth. 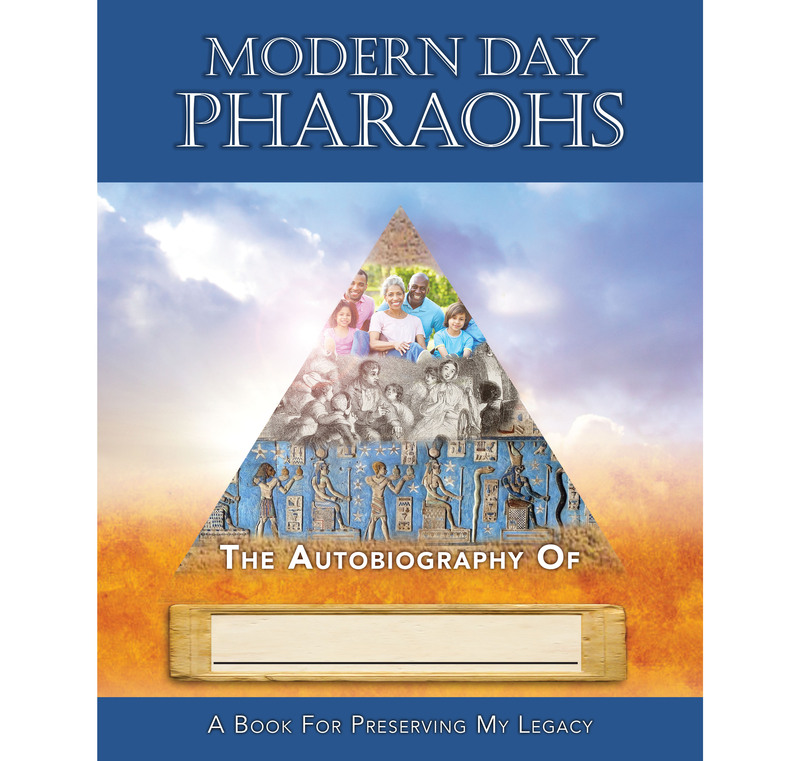 Everyone on the earth can be like the pharaohs to their families hundreds of years from now. And who knows? Someone in your family could use this important book to write a book about your life, because your book will be about you in your own words and deeds. All in one neat place. This book could be proudly displayed with your other books in your collection, an heirloom for the family.